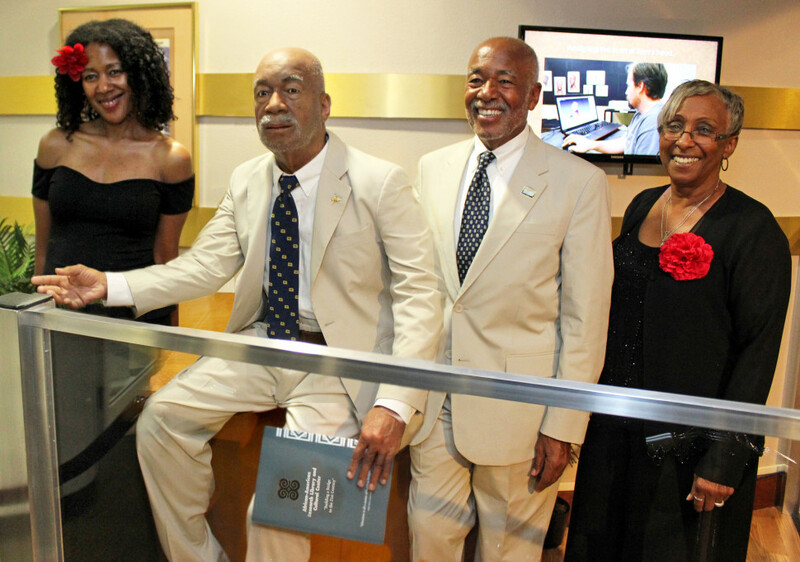 As patrons enter the African-American Research Library and Cultural Center (AARLCC) in Fort Lauderdale, Florida, they are greeted by a robot modeled after former Broward County (Fla.) Library Director Samuel F. Morrison. The sensor-activated replica—displayed in a 5,000-square-foot art gallery space—gives visitors insights into the library and local community. 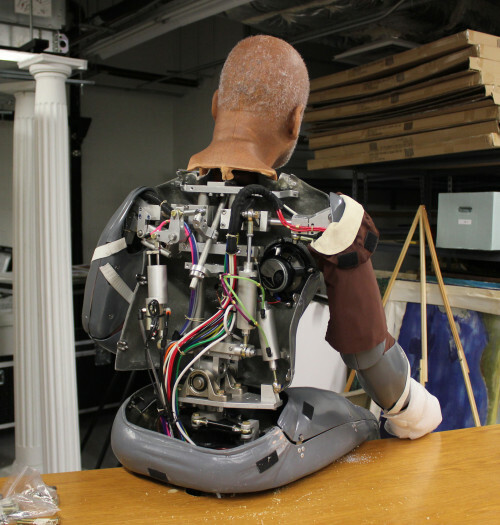 Sam I Am: The inner workings of Samuel Morrison, the animatronic. Morrison, who received his master’s in library science at the University of Illinois at Urbana-Champaign, became director of the Broward County library system in 1990 and retired in 2003. As director, he began campaigning to build AARLCC, and in 2002, the 60,000-square-foot facility opened as a branch of Broward County Library. 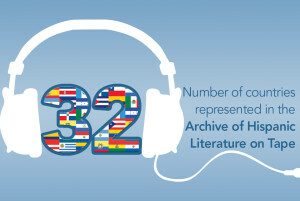 Its collection of books, artwork, photos, and other documents highlight black culture and history. Morrison says he’s grateful that his vision and efforts to build AARLCC resulted in what is a personal tribute to his legacy. 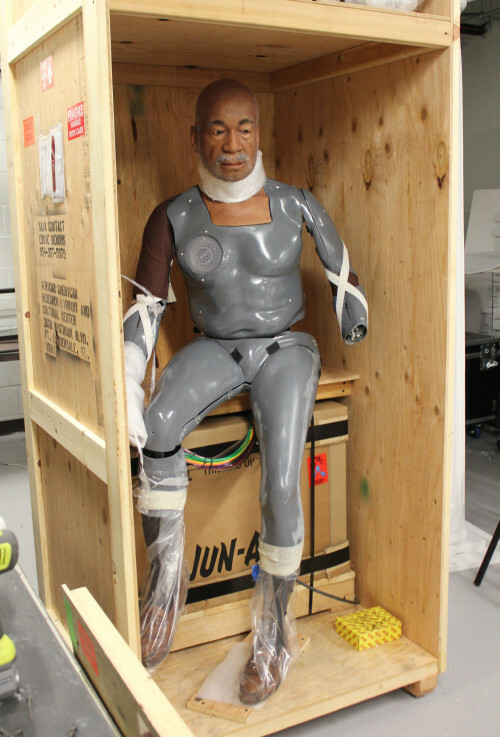 The animatronic cost $50,000 and was funded by the Greater Fort Lauderdale Convention and Visitors Bureau and Friends of AARLCC. It came to fruition after officials from the bureau approached the library and said they were interested in donating money to have an attraction available for out-of-state and international library visitors. Elaina Norlin, executive director at AARLCC and regional library manager for the Broward County Library, says the library initially wanted to have a hologram in the gallery space, but it was too expensive. 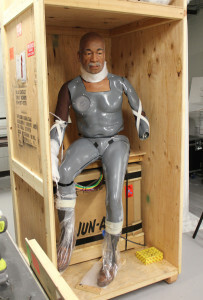 The animatronic cost $50,000 and was funded by the Greater Fort Lauderdale Convention and Visitors Bureau and Friends of the African-American Research Library and Cultural Center. The robot was created by Garner Holt Productions Inc., which creates animatronics and other specialty items for theme parks, museums, shopping and dining locations, and other attractions. Its clients have included Disneyland, Universal Studios, NASA, and Coca-Cola. The reaction from the public has been positive as well. ALISON MARCOTTE is an editorial intern at American Libraries.